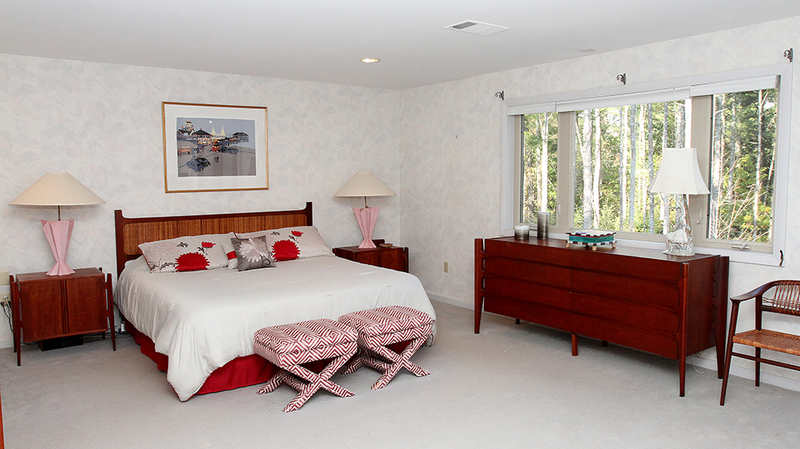 The master bedroom at 35 Buttonwood Lane in Portland after it is staged by The Styled Home using the owners possessions. The bedding was flipped over to neutralize some of the red. Outdated window treatments were removed and fabric that was draped over the stools was removed.